According to the Nyingma tradition of Tibetan Buddhism, Samantabhadra is the supreme embodiment of buddhahood. Samantabhadra transmitted the Dzogchen teachings in the three heavenly realms of Akanishtha, Tushita, and the Realm of the 33 Gods. About 50 years after Buddha Shakyamuni’s mahaparinirvana, the sambhogakaya buddha Vajrasattva — who is inseparable from Buddha Shakyamuni — transmitted the 6,400,000 tantras of the Great Completion to the first human guru of the Vajrayana, the Awareness-Holder Garab Dorje. 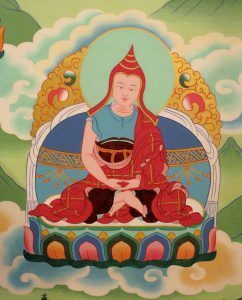 Garab Dorje transmitted the combined essence of the words, meanings, and esoteric instructions of Dzogchen to the great pandita Master Manjushrimitra, who in turn passed the teachings in one single lineage to his principle disciple Shri Singha. 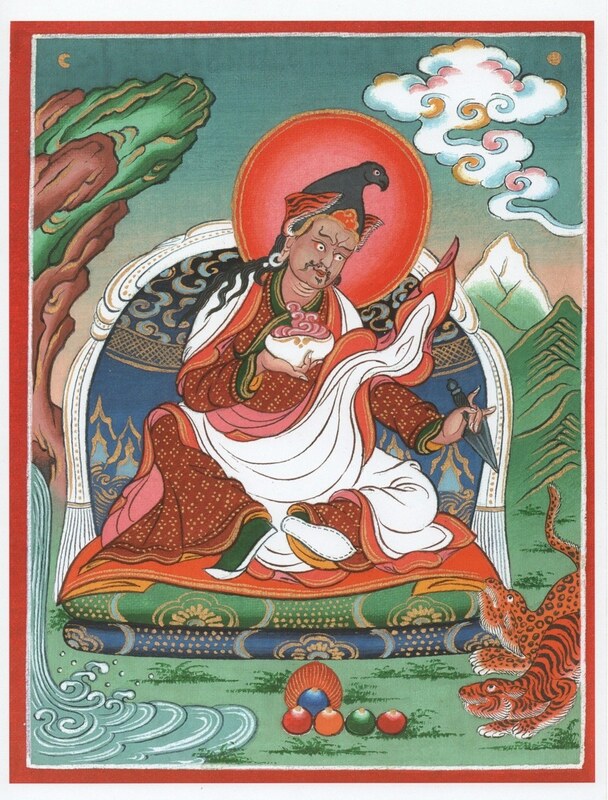 From Shri Singha the Dzogchen teachings passed to Jhanasutra, Guru Padmasambhava, and Vimalamitra — who was the principle teacher of the 500 great panditas of India at that time — and later to Vairochana. The Second Buddha Guru Padmasambhava established a lineage of oral transmission known as the Kama, which passes from teacher to disciple. The Kama continues unbroken up to the present. 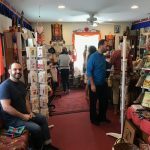 Guru Padmasambhava and the great wisdom Dakini Yeshe Tsogyal also concealed various types of spiritual treasures known as Terma, which are discovered by revealers of spiritual treasure known as tertons. This is known as the Terma lineage. 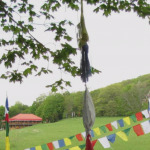 The transmission of the teachings from Garab Dorje until now is known as the individual oral transmission lineage. The oral transmission lineage is the way we receive teachings in the human world. The mind-to-mind transmission lineage is in the dharmakaya, and the symbolic transmission lineage is in the sambhogakaya. However, the oral transmission lineage contains the mind-to-mind transmission lineage and the symbolic transmission lineage. It is not separate from them; it embodies them. The oral transmission lineage is also called the nirmanakaya lineage. For example, Guru Padmasambhava, Garab Dorje, Manjushrimitra, and all the eight great vidyadharas are nirmanakaya buddhas. It is through the nirmanakaya buddhas that the teachings have come to us. When the oral transmission lineage came to Tibet, it was transmitted in three different ways: through the Kama lineage, the Terma lineage, and the pure vision lineage. 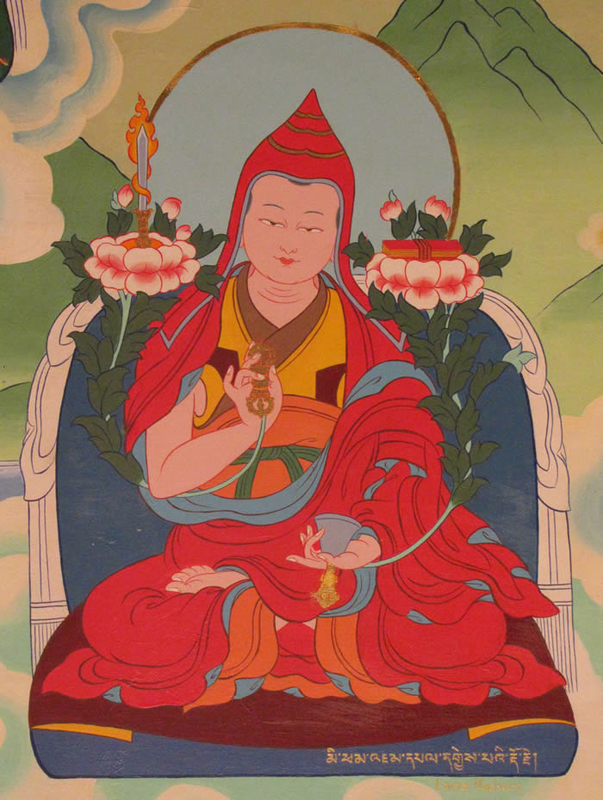 Nubchen Sangye Yeshe Rinpoche was one of the nine heart-like students of Guru Padmasambhava. 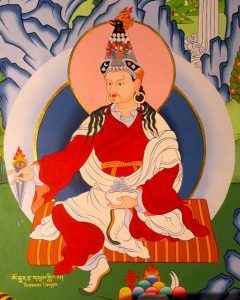 According to the Nyingma history, after Guru Padmasambhava came to Tibet there were three famous lineage holders, of which Nubchen Sangye Yeshe was one. Nubchen Sangye Yeshe was born into the Nub clan in Central Tibet during the reign of King Trisong Deutsen. 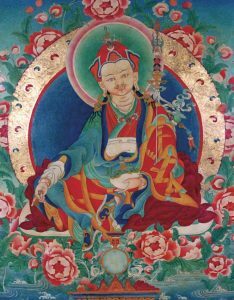 At an early age he met Guru Padmasambhava and received instructions from him, as well as from the famous master Shantarakshita. 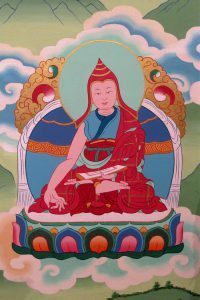 Nubchen Sangye Yeshe was a genius, and because of his abilities he became a great master at a very young age. 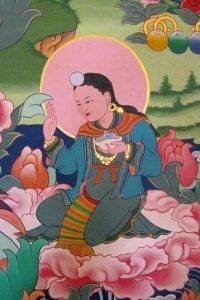 Nubchen Sangye Yeshe is renowned for saving the Dharma, and particularly the tantric teachings from the anti-Buddhist King Langdharma. 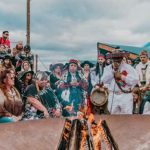 After living for about 125 years, Nubchen Sangye Yeshe transformed into the wisdom rainbow body. He had many reincarnations who came back to Tibet as great tertons, scholars, and meditation masters. Some of the most renowned reincarnations of Sangye Yeshe Rinpoche were Dumja Shang Trom, Drimed Kunga, Tsasum Lingpa, and Mipham Rinpoche. The Great Terton Tsasum Lingpa was born in the 17th century in Kham eastern Tibet near a pilgrimage mountain called Jowo Zegyal. He was born into a lower middle-class family among many miraculous signs, and he grew up as an ordinary person. 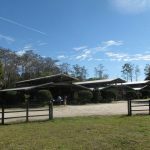 He never stayed for a long time at any particular school or monastery; his knowledge and realization came through his Dzogchen meditation. 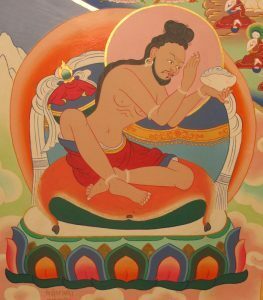 Tsasum Lingpa’s lifestyle and character were that of a crazy-wisdom yogi; he was not a normal, regular person. His way of acting was very crazy, as was his way of discovering the terma teachings. He never stayed in one place for a long time gathering students, and he traveled alone. He discovered many terma teachings and ritual objects. He was famous for recovering the terma teachings from objects. He discovered terma in rock mountains, the earth, and lakes. He also discovered terma in old temples, in the ceilings, and between pillars and beams. 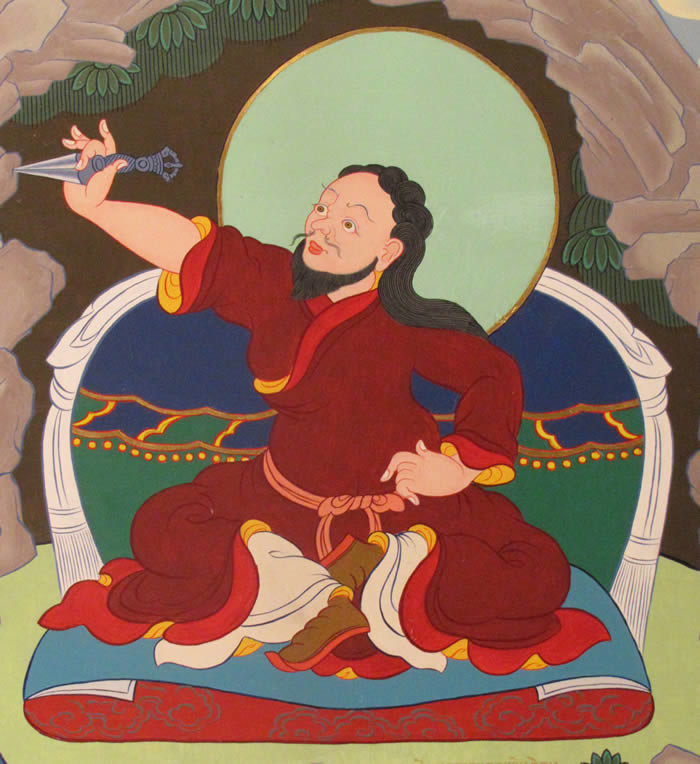 Read a more extensive biography of Tsasum Lingpa. Jamgon Mipham Rinpoche (1846-1912) was a great Nyingma master and writer of the last century, a student of Jamgon Kongtrul, Jamyang Khyentse Wangpo, and Patrul Rinpoche. 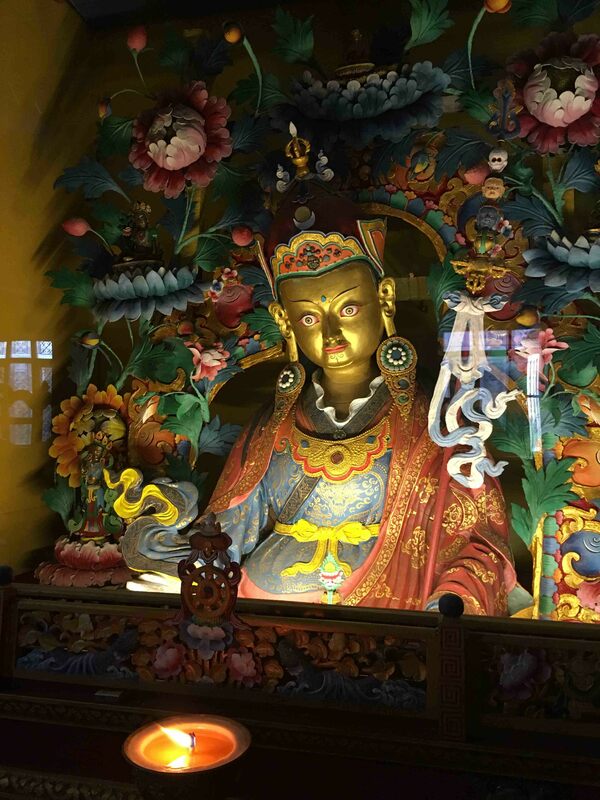 Blessed by Manjushri, he became one of the greatest scholars of his time. His collected works fill more than thirty volumes.